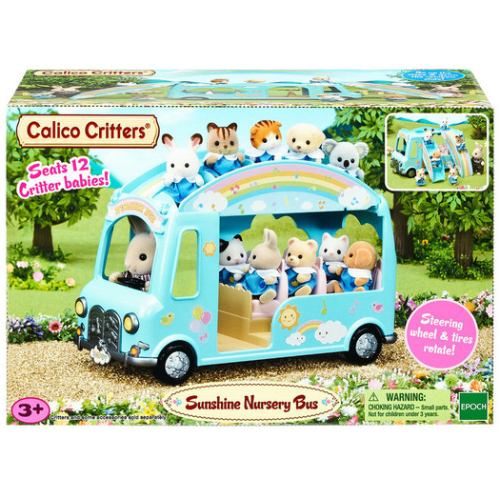 Critter babies enjoy fun bus rides to the nursery! 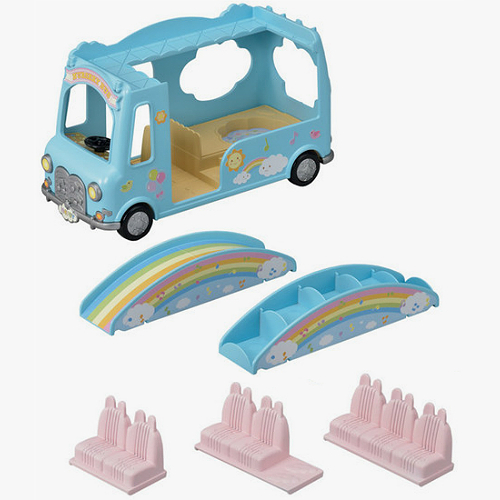 The Calico Critters Sunshine Nursery Bus features a double-decker bus, baby pool, slide, seesaw & rotating tires and steering wheel! The Calico Critters babies will have fun going up the steps and down the slide, relaxing in the baby pool and riding on the seesaw. Seats 12 babies, not included. Critters and other accessories sold separately. Measures approximately: 10.25 x 6.75 x 4.75 inches..